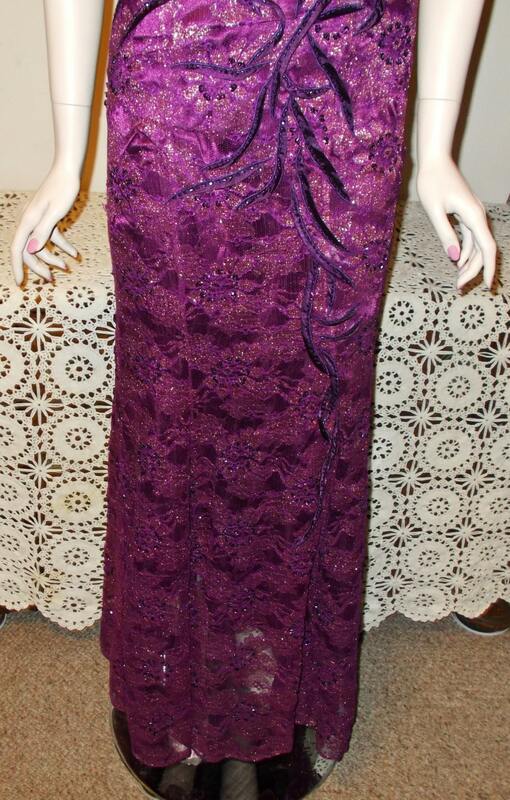 For sale is a Vintage 80's May Queen Couture Purple Hand Beaded Lace Sequined Strapless Women's Evening Special Occasion Floor Length Dress. 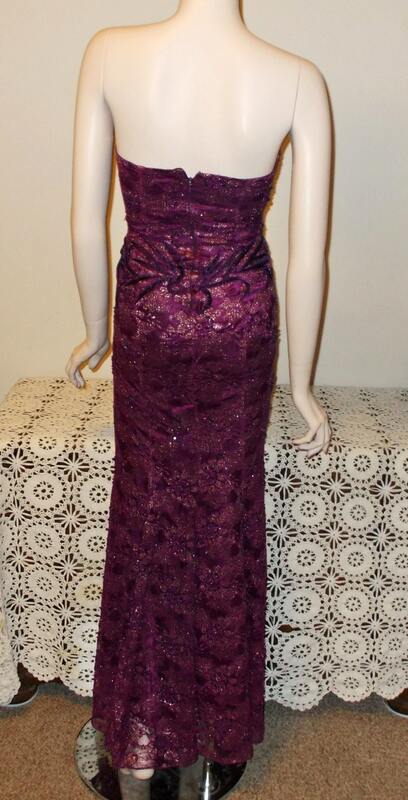 It is made out of a hand beaded sequined polyester lace material. There is beading on the center of each flower to the bottom of the skirt. 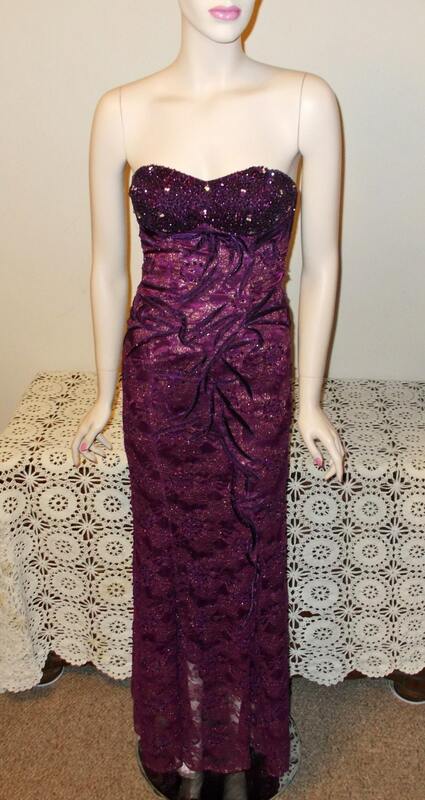 It is strapless with stays on the upper bodice, has a beaded upper front bodice (bust area), is lined, has a zipper in back, and is full length. There are no missing beads, rhinestones, or sequins. It is tagged a size 4. Dry Clean Only! I leave any cleaning, pressing, or restoration work up to the lucky buyer. I do not want to damage or detract from the original integrity of each item. Top of Dress to Hem Front 54"
Top of Dress to Hem Back 51 1/2"
Remember, vintage sizing does not compare to modern day sizes. So, please be sure to check all measurements. 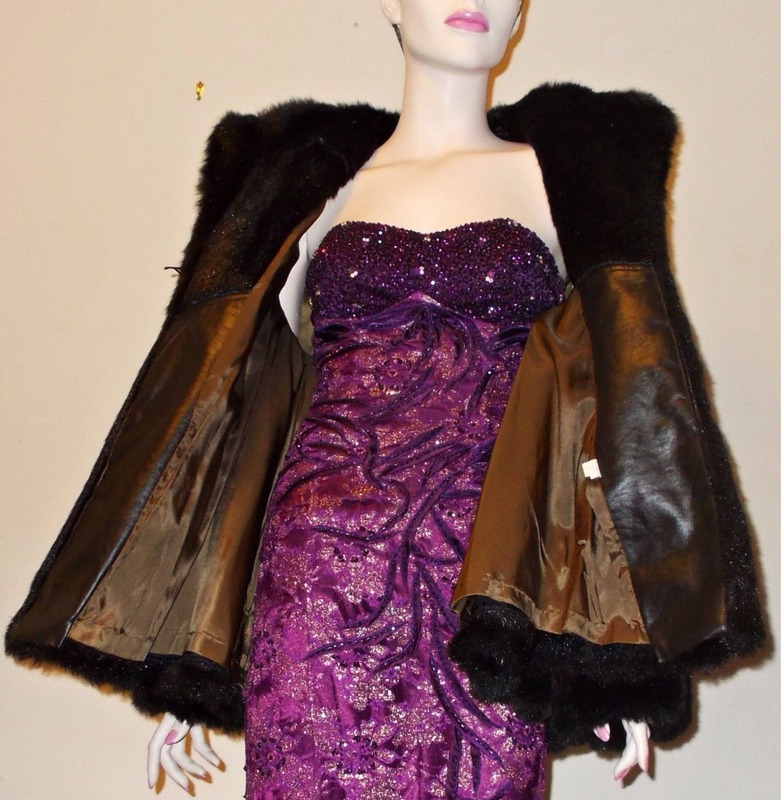 This would make a great addition to your Vintage Clothing Collection or a nice gift for Someone Special. I ship within 3-5 days after payment has been received and confirmed. I ship Worldwide. I have carefully hand picked each gently used and vintage item for your pleasure to enjoy and share with others. Please contact me if you have any questions or concerns about the items purchased. I go the extra mile with all my customers. I want to make sure your are happy with your purchase. I am always open to reasonable offers. New unique antique and vintage items added weekly! Enjoy shopping, more treasures to follow soon!